Explore the shores of Lake Superior in the western U.P. A trip to the Keweenaw Peninsula isn’t complete without a visit to the shores of Lake Superior. Some of the region’s most breathtaking views can be found from these northern beaches and lighthouses. If you’re feeling adventurous, the Keweenaw Water Trail is a must-do. Paddlers trace the shore of Lake Superior for better views of beautiful cliffsides and rocky beaches along the peninsula’s edge. If you’re traveling with kids, the Chutes and Ladders playground at the Houghton Waterfront Park will keep them entertained for hours. There is also public water access for kayaks and sailboats, so there’s something for everyone. Looking for a spot to relax? Union Bay offers two miles of shoreline open to the public, and it’s a great place to take a walk or cozy up with a book for an afternoon. 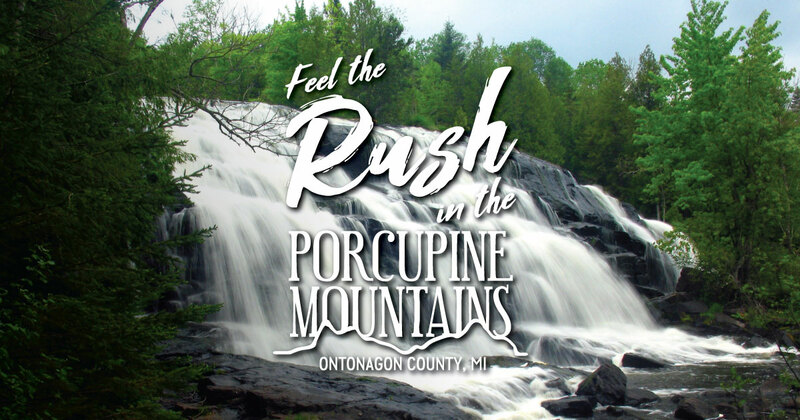 For even more spectacular views of Lake Superior and the Keweenaw shoreline, visit the Ontonagon Lighthouse, one of the oldest lighthouses in Michigan, and take a tour all the way to the top. If you’re up for more sightseeing, the Eagle Harbor Lighthouse is the place to go. Constructed in 1851, the lighthouse is still operated by the U.S. Coast Guard. The Keweenaw Peninsula offers beautiful views at every turn. Take it all in with a drive down one of its scenic highways. Cruising through the vibrant fall colors or under a luscious green summer canopy will make your trip to Keweenaw picture-perfect.